I’ve never had much triathlon coaching, just as part of a local club. I’m old school, picking up tips along the way and much more into how I’m feeling than following figures and stats. If I’m feeling good ill run faster and if I’m not ill run slower. If I’m not swallowing water then I’m not swimming hard enough J It has served me pretty well so far, but I’ve always wondered what would happen if I used a more scientific approach. I didn’t doubt that i could improve my performance but would it be enough to be worth the hassle of analysis? I’ve always been pretty time starved so preferred the thought of spending every possible minute out running or cycling the roads rather than looking at figures. Whilst I certainly believe in the merits of working smarter instead of just working harder I often find myself just clocking up the miles with no real target other than baseline fitness and working off a few calories. As well as building a sports brand and working full time I also have a part time job lecturing in marketing. Add to that 2 kids and a high-flying business woman wife then there’s not much time left on the side for training! My training has reduced in recent years from 6 days a week to 3 or 4 days and I’ve basically dropped swim training, having only swam a handful of times in over 2 years. With greatly reduced hours something had to give and inevitably it was my weakest and least favourite sport of the 3. I’ve also gone from racing potentially 12 times a year to racing perhaps 2 or 3 times. Don’t get me wrong I couldn’t be happier with my life and I feel very lucky, but I’ve slowed up and I’m basically tipping along, squeezing training in when I can and trying not to put on too much weight. After a couple of quiet years I had big plans for this year. Shea is 5 (and a half he reminds me) and is flying in school and is already a better swimmer than me! Mya turned 2 recently and thankfully is sleeping all night as well as running the whole house! So it seemed that I would be able to get back to a bit of proper training and get back swimming again after 2 years out of the water. My goals were a sub-3 marathon and perhaps a few triathlon PB’s from Sprint distance to Half Ironman. However, with the albeit wonderful news of an ‘unexpected’ new arrival coming in early May this year life is about to get even busier so I was already writing off 2019 and starting to think about what I could aim for in 2020! 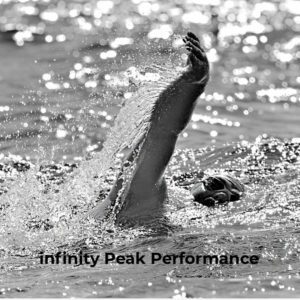 Then I received a very interesting proposal from Infinity Peak Performance. 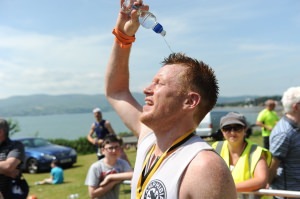 Infinity are already well known for their swim academy, channel crossings and open water swim events but are now launching coaching for triathlon, multi-sport, adventure races and everything in-between. I was approached as a potential candidate to prove how even time stretched people can achieve goals and see improvements in performance. Well I’m certainly time stretched and I’m very interested personally to see the benefits of a more scientific approach with limited hours. Really I cant offer more than about 7 hours training in an average week for the foreseeable future so it will be interesting to see what Sean can do for me with that amount of training! Along the way I’m hoping to throw in a duathlon or two, a half marathon and perhaps an adventure race, as well as my target marathon and triathlons. In our initial meeting we chatted through basic plans and how Sean thinks he can add value to my racing. He is a strong proponent of building training around your life, not the other way around, which is a relief when you are time stretched. My inability to stick to set hours of training mean that I haven’t joined my local triathlon club as I cant consistently make set training sessions, instead having to train largely on my own in whatever time I can spare. Sean asked only for 3 things – that I give it 100%, trust him and give him as much feedback as possible, all of which I am happy to do. Already we have had a 30 minute fitness test to establish my base threshold and a longer run with a constant heart rate of 150 – 160bpm for aerobic assessment, which he will now use to structure training sessions and guide improvements – hopefully! Sean has already advised me on my running form and given me some tips to work on like lifting my chest and pulling my hips forward when running. As a pretty strong runner I can only imagine how much ‘advice’ will be coming my way after a swim session! It’s exciting to hear new methods of training and try different strategies after so many years of just training by ‘feeling’ and competing just through sheer stubbornness. There is no rocket science to what Infinity is introducing me to, but smart techniques and the latest from international research and trends along with mentor guidance and support. Hopefully they will be able to teach an old dog new tricks! I’ll be posting regular updates here so you can stay up to date, see how I get on and perhaps pick up a few new tricks yourself. If you are wondering what one-to-one coaching could do for you it might give you a few answers as well. You can check out their Facebook page for more details. Grab your sports bag and come with us, it’s going to be an interesting journey!